Ahhh, March – when we begin to see little hints of springtime appearing in our favorite city, Boston! We also hear all about March Madness – which underdog team will surprise the nation? However, some Bostonians will be hosting their very own NCAA-style based brackets for local establishments to battle it out. There can only be one winner, and it’s time to find out who that winner shall be! Up first is Boston Globe’s Munch Madness. This restaurant battle kicks off on March 5th, as 64 local establishments battle for top honors; all voted on by you! In the first round, mouthwatering pizza and charcuterie from the Salty Pig will face off against fulfilling fresh sushi from O Ya. Spectacularly spicy Loco Taqueria will take on authentically cooked Southern fare. Y’all think Southern Proper has what it takes to win the first round against the famously-juicy tacos? Plenty of seafood restaurants are also represented in this battle, as well as a variety of other delicious cuisines. Cast your votes each round and follow the live action on Twitter and Instagram with the hashtag #munchmadness! Raise a cold one, Boston! Malt Madness is back and beerier than ever! 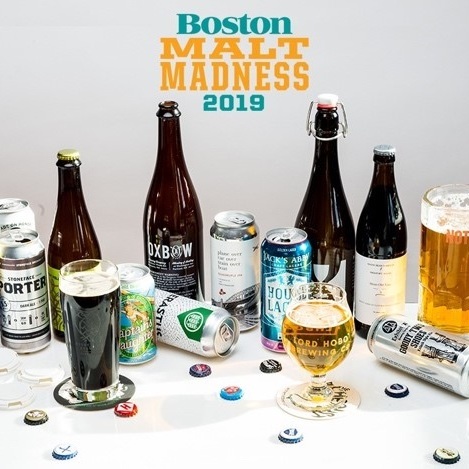 This year’s Malt Madness includes top-pick favorites from all over New England. With 64 contenders, there are some tough heavy hitters, but will an underdog make a grand surprise? The team at 88 Wareham has a personal favorite, our local neighbors Backlash Beer Co. is in the running and representing our phenomenal South End. Located on Hampden Street, less than a mile from 88 Wareham, began crafting beers in 2011. 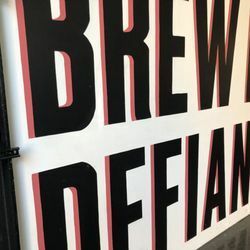 After establishing a brand, the company laid down their roots by opening their very own brewery and taproom in an old piano factory originally built in the 1850’s. One of our personal favorites from their exquisite selection is, “All In”. This double IPA bursts subtle hints of tropical fruit in every sip, thus making it quite the mature balance of flavor. Be sure to check out all the breweries to then vote for your favorite! If you never had the chance, we encourage you to take a trip to Backlash to taste some of their aromatic beers and sample some tasteful food from other local vendors!